When it comes to innovation, mixologists are thinking outside the spirits box. As the U.S. mixology scene becomes increasingly crowded, bartenders are constantly seeking ways to stand out, says Bill Nichols, bar manager at Faun in Brooklyn, New York. “The omnipresence of cocktails in today’s bar and restaurant scene is pushing bartenders to experiment more with nontraditional ingredients,” he adds. Bartenders have found creative ways to use beer and cider in cocktails. 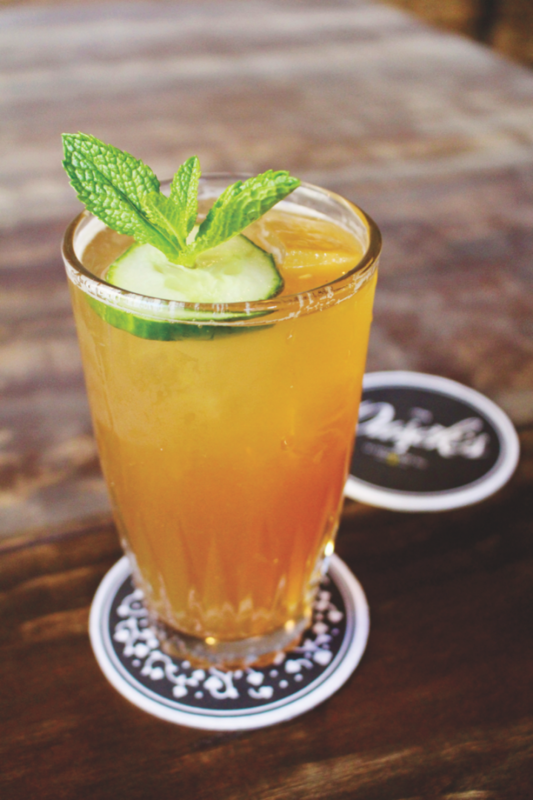 The Pimm's Cup #18 at Dusek's Board & Beer features a cucumber syrup made with Allagash White beer. Just as a gin or whisk(e)y will have different characteristics depending on the style, region of origin and production method, beer can vary widely in flavor and texture, making it a fun and challenging ingredient to use in cocktails. “We can find an extremely wide range of flavors in the many beer styles produced around the world from the different yeast choices, malt roasts and hop selection,” says Rob Boyd, bar manager at Dusek’s Board & Beer in Chicago. Knowing each of your ingredients well is important to creating balanced cocktails. “The fruity and acidic components of Belgian ales work really well with spirits,” Big Bar’s Rathje says. His Bitter Moonrise ($13) blends Blue Moon Belgian White beer with Campari aperitif, Cointreau orange liqueur and fresh lemon juice. “Lighter lagers known for clean drinkability, like a German Pilsner, make great substitutions for soda water in highball cocktails,” Boyd notes. 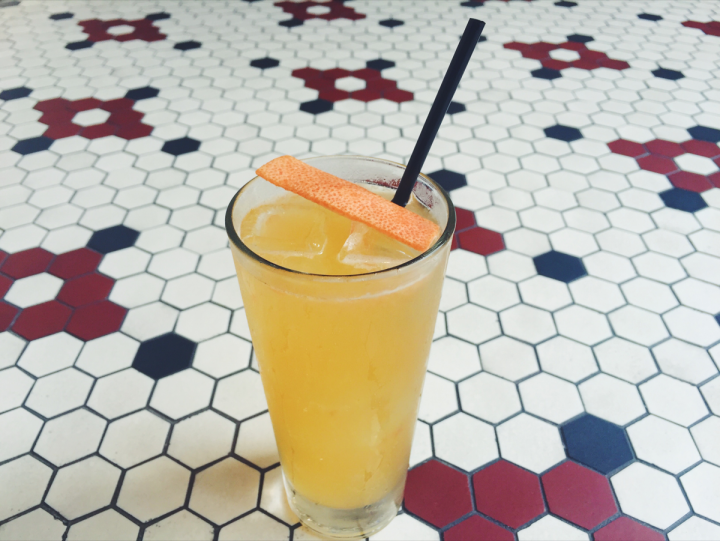 The Dusek Cooler ($10) blends Becherovka herbal liqueur, Fee Brothers orgeat syrup, orange blossom water, lemon juice and Moody Tongue Thalia Hall Pilsner. Boyd adds that saison ales work well as an alternative to sparkling wine in cocktails like the French 75, while the grapefruit flavors of West Coast IPAs can be used wherever you might use grapefruit juice in a drink, and any spirit that is typically paired with coffee would work equally well with a porter or stout. Cardiff Giant’s Baird notes that tart ciders work well in cocktails, as do sour beers for their similarly high acidity. His Daring Drake cocktail ($12) blends Blackduck ¡No Pasarán! Sidra Northern Spanish–style cider, Owney’s New York City rum, Finger Lakes Distilling Co. Raspberry liqueur, and lemon and lime juices, while his Soleil Colada ($12) features Hudson Valley Brewery’s Soleil sour farmhouse beer, Owney’s, coconut milk, simple syrup and lime juice. Brooks of CBD Provisions also favors sour beers in his Collins-style drinks, using Martin House Brewing Co.’s Salty Lady gose in his GF Shandy ($12), which also features Plymouth gin, St-Germain elderflower liqueur, grapefruit and lime juices, and The Bitter Truth Grapefruit bitters. Atop The Robey in Chicago, the Cabana Club serves a Michelada, blending Tecate beer, lime juice, and Cholula Original and Valentina Salsa Picante Mexican hot sauces. The drink serves as a low-alcohol cocktail option. Cider is a more recent addition to the U.S. craft beverage scene, but it’s a category that’s growing rapidly, with new bars even specializing in the apple-based beverage. The Northman touts itself as Chicago’s first cider bar, offering nearly 100 different ciders by the can, bottle or glass, as well as five different cider-based cocktails. 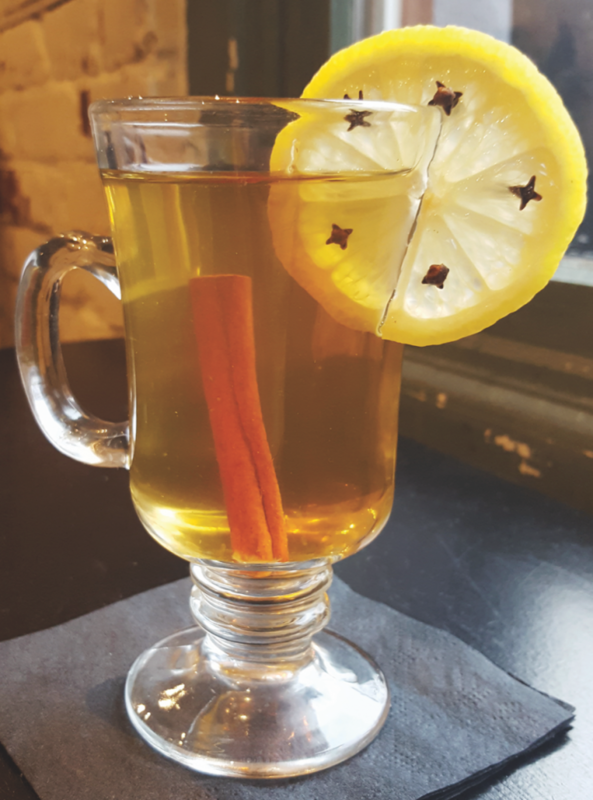 “There are so many styles of cider that the cocktail combinations are really endless,” says Ambrosia Borowski, The Northman’s front of house manager and spirit and cocktail director. 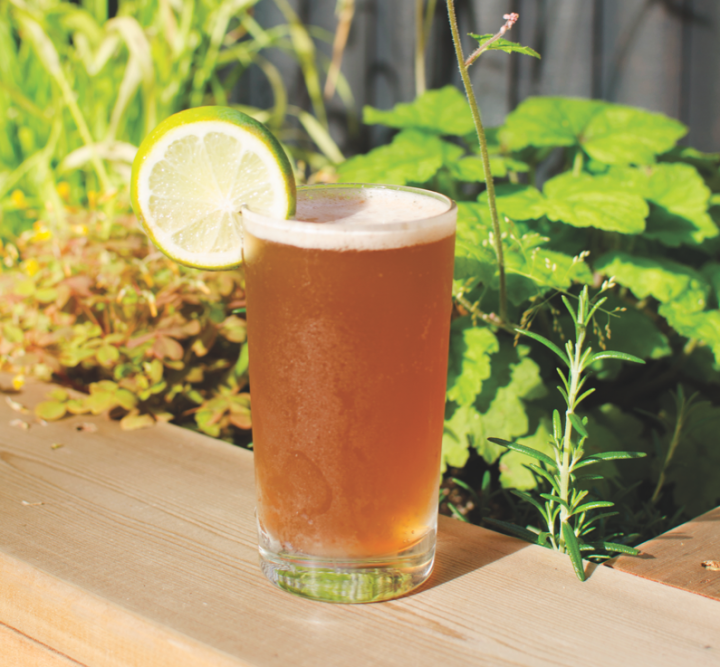 “Hopped ciders play well with aquavit and amari, while dry ciders are great with vermouth. Cider really offers a wide palate,” she notes. Her Transcendent Crab cocktail ($10) features Anthem Hops cider, Averna and Cynar 70 amari, and Peychaud’s bitters. “Cider is experiencing a unique revolution here in the United States as more bartenders realize that it’s a quality beverage and not a sweet, mass-produced fructose wine,” Borowski adds. Rathje says that when he works with ciders, he likes to use complementary flavors that evoke autumn. “In addition to the traditional apple ciders, pear and pumpkin ciders are delicious when done right,” he explains. Mixing them with brandy, rye whiskey, Cognac or Scotch can result in some great concoctions.” His Herbaceous Bliss ($13) comprises Blake’s Grizzly Pear cider, Courvoisier Cognac, Green Chartreuse liqueur, St-Germain, fresh lemon juice, house-made thyme-infused simple syrup and Peychaud’s bitters. The GF Shandy at CBD Provisions showcases sour beer's flavor when paired with gin, St-Germain, grapefruit and lime juices, and grapefruit bitters. Beer and cider cocktails are still relatively new to a lot of consumers. “Many people haven’t experienced a really good creation yet, but I think if the industry keeps creating complex, unique beer and cider cocktails, they will become mainstays on menus, just as the Spritz has become a summer menu necessity,” Rathje notes. Indeed, as mixologists continue to experiment and push the envelope with beer and cider, the high-quality drinks they create will become more widely accepted in the craft cocktail scene. “There’s so much creativity in our industry right now,” says Andi Ryan, bar manager at Chicago hotel The Robey. 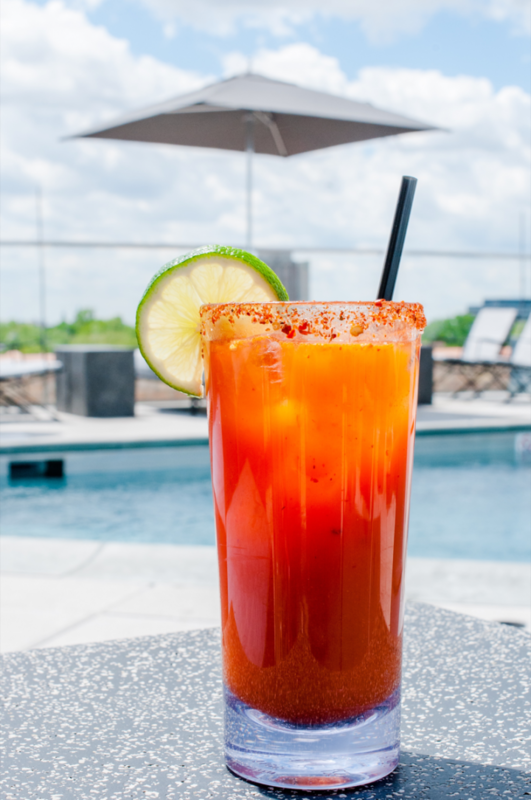 “Beer and cider provide us with more ways to give people a drink that will make them happy.” At the hotel’s rooftop bar, Cabana Club, the Michelada ($7)—blending Tecate beer, lime juice, and Cholula Original and Valentina Salsa Picante Mexican hot sauces—has been a hit with customers. “Particularly when the weather is warm, people want effervescent cocktails that aren’t as high in alcohol content,” Ryan adds. The Northman’s Borowski notes that beer and cider are great for adding subtle complexity to even the most standard cocktail. “Most mixers or bases of cocktails are still, so working with a carbonated product is interesting—it changes the texture, aromatics and how you make the drink,” she says. Her Sidrarita ($10) comprises Arette Blanco Tequila, New Holland Clockwork Orange liqueur and lime juice, topped with the spicy Blake’s El Chavo cider for a spin on the classic Margarita. Beer and cider cocktails can work year-round. The Mela Cattiva, a winter cocktail, blends sparkling cider, Calvados, tea and spices. Using beer and cider in drinks requires that the drink-maker be very creative; unlike most spirits, there are very few go-to classic beer and cider cocktails, as Ryan Gordon, owner of The Queen Vic in Washington, D.C., notes. “In the United States, beer and cider cocktails are a lot more rare than traditional spirit-based drinks, so when we create new cocktails with beer or cider, we know that they’re original,” he says. The bar’s Jameson Shandy ($8) blends Magners Irish cider with Jameson Irish whiskey, Ribena blackcurrant cordial, 7-Up lemon-lime soda and lemon juice, while Noel’s Seduction ($8) features Guinness stout, Van Gogh Espresso vodka and Frangelico hazelnut liqueur. Bartender Noel Quinn created both concoctions. “Since beer and cider cocktails are less common, we have less of a frame of reference to know what works and what doesn’t, so it’s a lot of fun trying out new combinations and learning through trial and error,” Gordon adds. 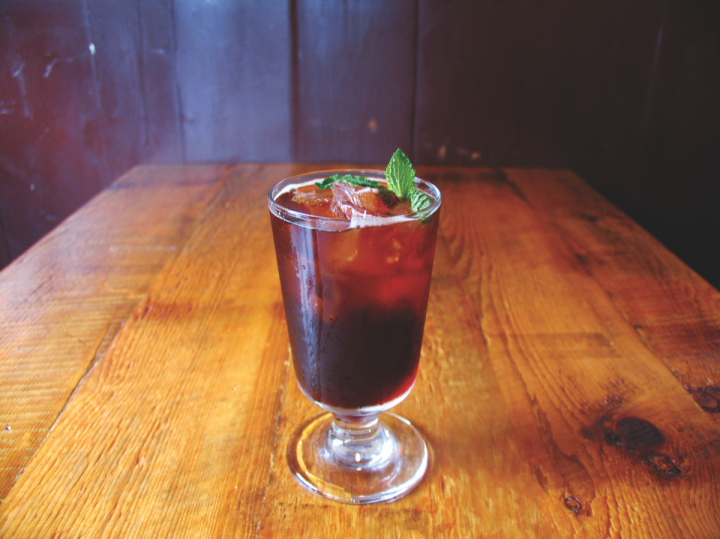 Most of the cocktails at Dusek’s feature beer, but in unexpected ways—the bar team uses beer to create syrups and other tinctures. “We seek to bridge and contrast the many flavors that link the beer and the spirit in a cocktail,” Boyd says. Bartender Matt Miller’s Urban Prairie ($10) blends Ransom Old Tom gin, Kronan Swedish punsch liqueur, Leopold Bros. absinthe verte, lime juice and a gomme syrup made with 5 Rabbit Vida y Muerte beer. “We also like to reference classic drink builds and flavor combinations to provide a reference point for the guest,” Boyd adds. The Pimm’s Cup No. 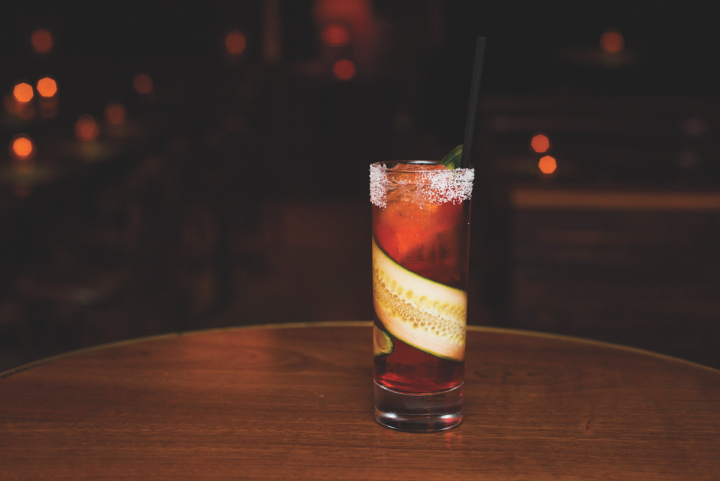 18 ($10), created by bartender Danny Astorga, blends Pimm’s No. 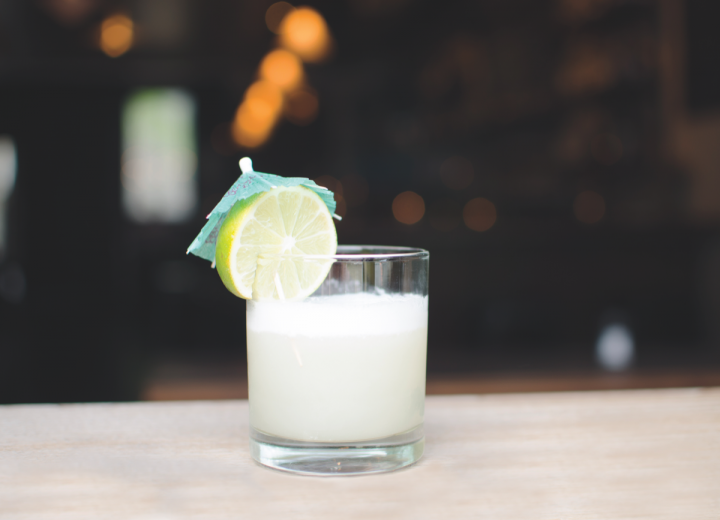 1 liqueur, Banhez mezcal, lime juice, Gosling’s ginger beer and a cucumber syrup made with Allagash White beer. “There’s so much versatility in working with beer and cider. These producers are creating such a varied array of products that there is always something new coming out,” Faun’s Nichols says. “As brewers and fermenters become more adventurous, the cocktail scene will use these products with gusto. I’m very excited about what beer and cider producers are making already, and I expect it will only become more impressive. Combine beer, rum, coconut milk, simple syrup and lime juice in an ice-filled cocktail shaker. Shake and allow the beer and coconut milk to foam up. Strain into a rocks glass and garnish with a lime wheel. Combine amari and bitters in an ice-filled mixing glass and stir. Strain into an 8-ounce glass over fresh ice. Top with cider and stir to incorporate. Garnish with a smashed mint leaf. Bruise cucumber slice and place in a cocktail shaker with ice, Pisco and aperitifs. Stir and strain into a salt-rimmed Collins glass filled with large ice cubes. Top with UPA and garnish with cucumber ribbon.